Douglas Simms is an experienced financial advisor and investment consultant who is highly skilled in helping his clients manage and grow their wealth. Douglas began his career in a marketing and operations role at a mortgage company where he discovered a passion for coaching clients on budgeting, personal finance and credit remediation. 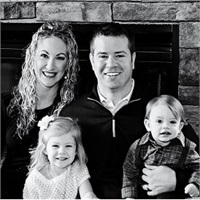 This led to him seeking a different career path in the financial field, becoming a financial advisor at investment giant, Edward Jones, where he grew his skill set and managed offices throughout the Midwest. It was during this time that Doug’s keen ability to explain complex concepts to clients in readily understandable terms became strongly evident, helping him to build long-term client relationships. Douglas saw an opportunity for his clients on the independent side and left Edward Jones to join the Meyer Group Companies. Some of his career highlights there included identifying key problems in procedures and workflow and creating new processes to ensure compliance. He also managed and developed processes for new business, risk management, and trade procedures. He also became involved in the benefits consulting division, working with companies to create strategic plans for their employee benefits offerings. Douglas now holds the position of Executive Vice President of the Meyer Group Companies. Today, he consults to businesses on their employee group benefits (health, dental, vision, and disability). 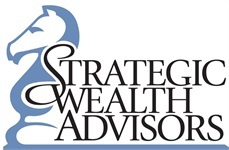 He is also the President of Strategic Wealth Advisors, a division that advises clients on their financial future and goals. His commitment to excellence, attention to detail and compelling personality has made Douglas an incredibly valuable asset to the clients, business leaders and CEOs in the community. Douglas holds a Bachelor of Science Degree in Health Administration and Business from Indiana University Bloomington and stays up to date on the markets, the economy and research that could influence his clients’ portfolios. He lives in Saint Louis with his wife and two children where he relishes an outdoor lifestyle and is even looking to buy horses in the next year for his family to enjoy.